Found this next to a gas pump a few days after Christmas. 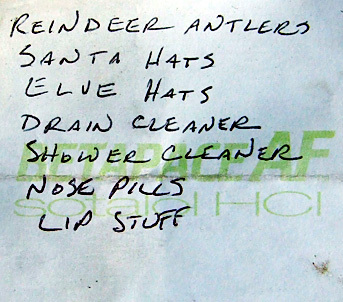 Did he lose the list before he finished his shopping? Did he remember those nose pills and the lip stuff? The note is written on a Post-It that says “Betapace AF” on it. That’s a drug to treat heart arrhythmias.